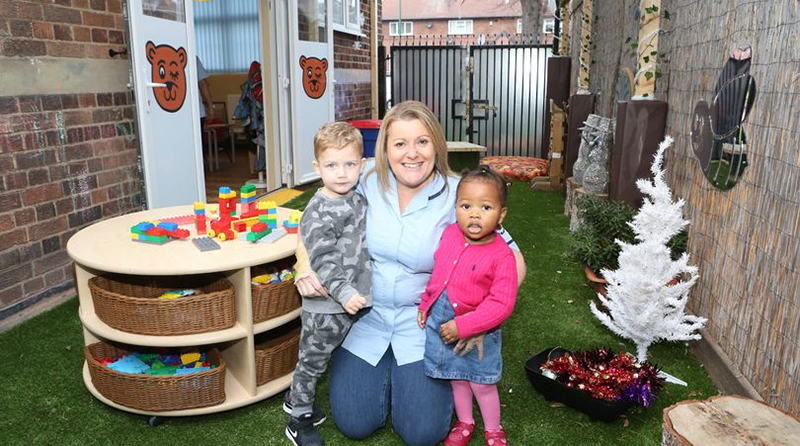 A new second-floor extension and £10,000 outdoor area have been added to Kiddy Winks pre-school in Sneinton. The new addition also means twelve more spaces for children and two more job openings! The nursery was given a funding grant from Nottingham City Council as well as receiving £10,000 from the National Lottery. The money was given to the pre-school to create new childcare spaces. The new extension allowed the pre-school to move upstairs, leaving the existing space for the younger children attending Kiddy Winks. Thanks to the money received from the National Lottery, the pre-school was also able to build a ‘free-flow’ outdoor space. With the money, Kiddy Winks erected a canopy, laid fake-grass and made the space more suitable for the children. Natalie Kiernan, the pre-school’s manager, said to Nottinghamshire Live that the funding was needed due to the “influx of two-year-old children in the area. “All children are entitled to a place in an early years school and a nursery space, and there is a large percentage of those, after an influx of two-year-old children in the area. “We managed to get a funding grant through Early Years, who run through Nottingham City Council, and we’ve been able to use the upstairs space in the community centre now. “It’s such a great thing we’ve been able to do, and we’ve also opened up spaces for two new staff,” she added. “We were supposed to open earlier on in November, but we pushed it back a little bit to make sure everything is perfect. I’m still painting some parts of the outdoor free-flow area right now!